If you want to participate in the poster session, please read attentively the editing rules and submit the online registration form (one for each poster) by August 30, 2014. Style: posters must be readable from a 2 meters distance at least. The style must be plain and brief. Text and images: On the poster you must indicate: Title, authors; institution; contacts; short description of the project/good practice/case study. It is possible to insert graphics, tables, drawings and pictures. 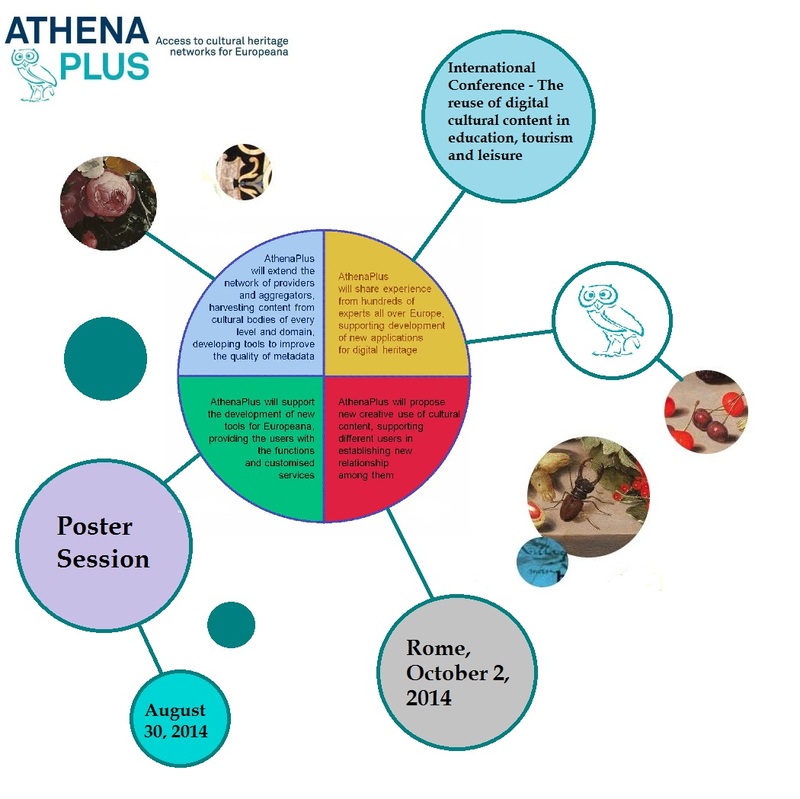 For more information on the poster session organized in the frame of the international conference “The reuse of digital cultural content in education, tourism and leisure” visit the AthenaPlus website.